I’ve been in Valencia for a week now. It’s a beautiful city with lots of interesting architecture, a fantastic beach, and a dry riverbed that has been turned into a park. Now the only thing running underneath the bridges are people jogging and there are a lot of them. 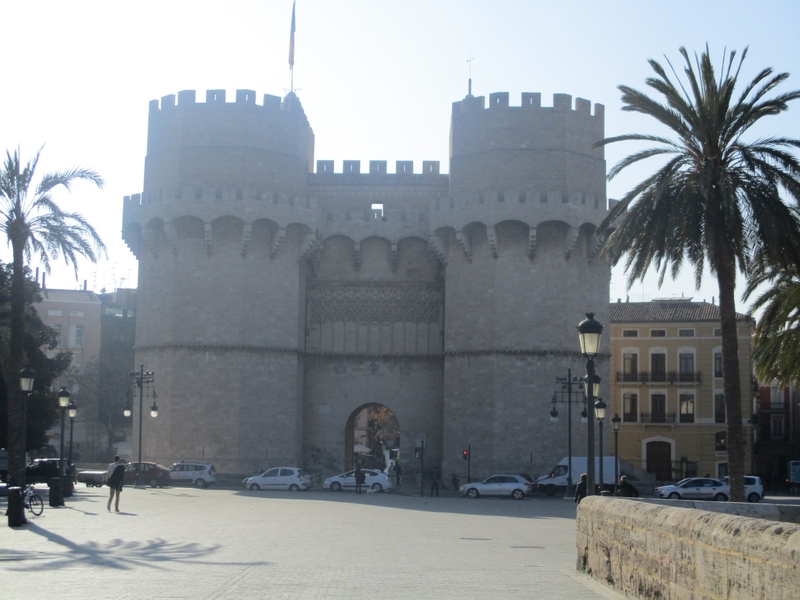 Valencia is the City of Running and there are a number of recommended routes and numerous competitions each year. The next one is the 10K Valencia, on January 10, and I’m very tempted to take part. The weather here is perfect for running at the moment and I haven’t entered a running competition in a very long time. Valencia is also the home of paella. It’s Spain’s national dish, so I made a point of going to a restaurant and ordering some on Christmas Eve. It was very nice, but it contained prawns. I have since discovered traditional Valencian paella contains chicken and rabbit meat, so I will have to try a different restaurant before I leave. It gets pretty cold here on a night. That came as a surprise. It’s usually nice and warm during the day though and on Boxing Day it was around 20 degrees so I took a tram to the beach and mused on how cold I would feel if I was still in the UK. This afternoon I took a break from writing and walked into the centre of the city. 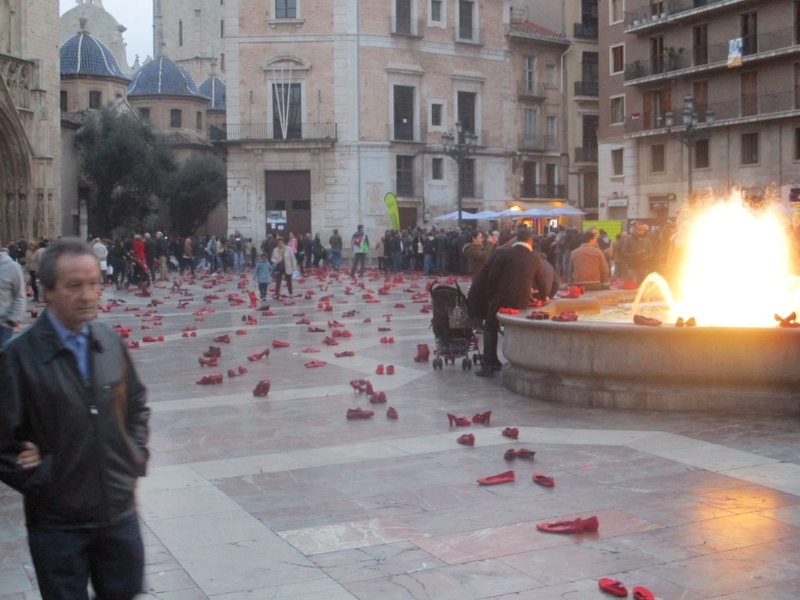 When I reached the Plaza de la Virgen I was surprised to see the plaza was filled with red shoes. They were everywhere, even on the side of the water fountain in the middle of the square. I though it must be something to do with Christmas, boy did I get that wrong. When I went and asked a couple of police officers they told me the red shoes had been placed in remembrance of all the women who have been killed by their husbands. I’m not sure if this relates to murdered women in Valencia, in Spain, or in the entire world, but I suppose the colour red must have been chosen to represent spilled blood rather than the fact that red is one of the five colours associated with Christmas.